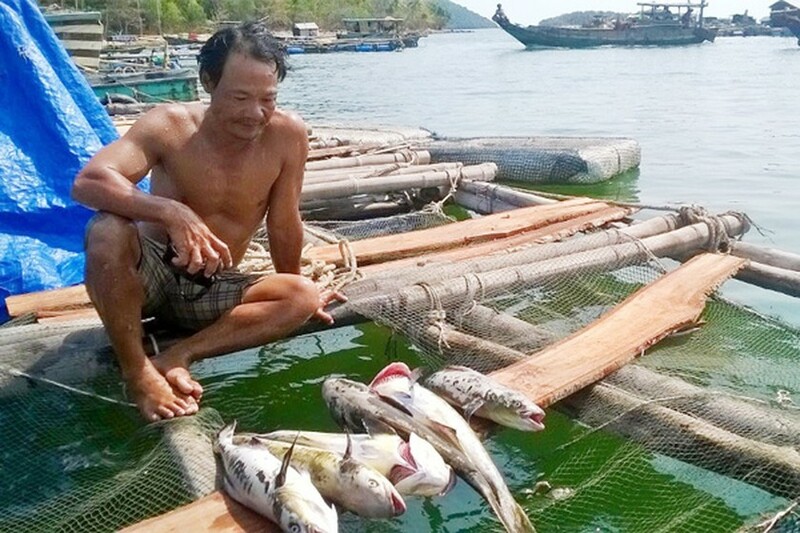 More than 10, 000 dead fish are type of Rachycentron Canadum with total weight of 35 tons at Van Ninh district in Khanh Hoa province because of the influence of the previous heavy rain and flood. The local authority said that around 270 households were damaged. After receiving the information, the local authority and functional forces took fish samples for test and destroyed the dead fish. They also suggested the People’s Committee of Khanh Hoa province to support residents. According to the initial investigation, the massive fish died because of a sudden change of oxygen level in water.